Today, the amazing Jamie Ayres is here to celebrate her new release, 18 Things, and help us create our very own bucket lists. 18 Things released on the 25th from Curiosity Quills Press, and is quickly climbing the charts. If you haven't grabbed your copy yet, you will definitely want to pick it up soon. Then Conner is killed in a freak boating accident and Olga feels responsible. When she downs an entire bottle of pills to deal with the emotional pain, her parents force her into counseling. There, her therapist writes a prescription in the form of a life list titled 18 Things. Eighteen quests to complete the year of her eighteenth birthday. All she has to do is fire-walk, try out for the cheerleading squad, break a world record, and err . . . go on her first date. Good thing Nate, a new hottie in town, enters her life with perfect timing. He brings the fun factor to her list and helps her discover the beauty and strength inside herself, then complicates things by falling in love with her. But there's more to Olga’s quests than meets the eye and when her therapist reveals a terrifying secret, her world is shaken. Let's turn this puppy over to Jamie! 1: Visualize the list as the story of your life. What things have you never gotten around to doing and would be upset about it if you died today? 2. Do not participate in anything that will earn you an ambulance ride at the end of it. 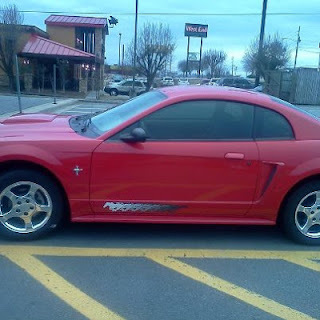 3. . . . or causes the neighbors to call the cops. 4. Practice random acts of kindness with your list. Most people will amaze you at how they pay it forward! 5. Don’t get ‘stage fright.’ Believe in yourself even when nobody else does. 7. No pain, no gain. You owe it to yourself to see what all the fight is about. See the joy set before you when accomplishing your task. Jamie Ayres writes young adult paranormal love stories by night and teaches very young adults as a public school teacher by day. When not at home on her laptop or at school, she can often be found at a local book store grabbing random children and reading to them. So far, she has not been arrested for this. She lives in southwest Florida with her prince charming, two children (sometimes three based on how Mr. Ayres is acting), and a basset hound. She spent her youthful summers in Grand Haven, Michigan and this setting provided the inspiration for her debut novel, 18 Things. She really does have grandmothers named Olga and Gay but unlike her heroine, she's thankfully not named after either one of them. She loves lazy pajama days, the first page of a good book, stupid funny movies, and sharing stories with fantastic people like you. Visit her website at www.jamieayres.com. 18 Things is available at: Amazon | Barnes & Noble | Kobo. You can also add 18 Things to your TBR list on Goodreads. Interview with Vanna Smythe, author of "Decision Maker"
I have a treat for you today! The lovely Vanna Smythe has stopped by to celebrate her new release, Decision Maker (Anniversary of the Veil, Book Two) with us. I have to confess that I've not yet read the series thanks to that pesky thing called "real life responsibilities", but after reading up on the series, I had to add it to my TBR list. 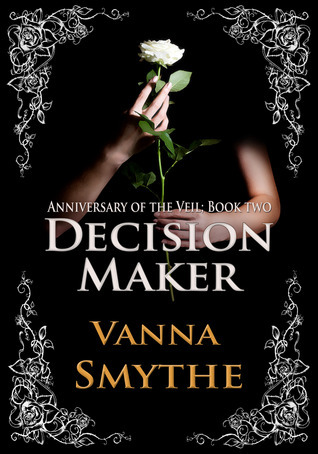 Decision Maker (Anniversary of the Veil, Book Two) is the second volume in the Anniversary of the Veil fantasy series. It concludes the story started in Protector(Anniversary of the Veil, Book One), but can also be considered a standalone book that you can read at any time. Though it is enhanced by both Book One and the upcoming Book Three. Kae, a warrior Protector, has followed Princess Issa across the Veil separating two worlds. They were told Issa will be a key player at the Anniversary of the Veil, but have been mislead! Kae will have to make a terrible choice when the Anniversary finally comes. He is the Decision Maker and will have to play a part in a ceremony that will join Issa's Life Force with her Other Half - but in so doing, it could leave her senseless or worse, dead. As the King fights to find his daughter, as the Priesthood is falling apart; Kae has to decide if he will kidnap the Princess to stop her Joining and force her into a life of unhappiness, or if he will allow her to Join and thereby leave her a mere shell of herself. Meanwhile friends and foes alike are showing only half-truths to both Kae and Issa. They must make the most important decision of a lifetime without enough knowledge. How can they know it will be the right one? Alternate worlds, warriors, subterfuge, and life changing decisions?! Yes, please! 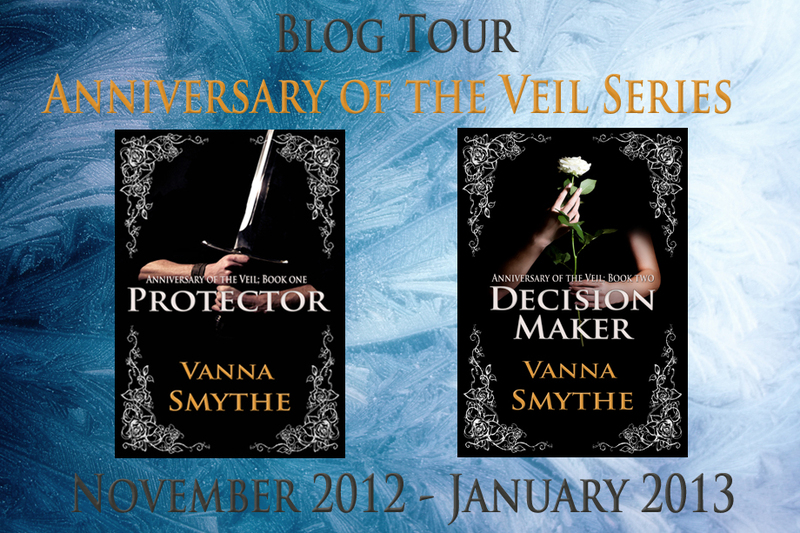 Let's see what Vanna has to share with us today, and then I'll give you all the nitty gritty details so you can add the Veil series to your TBR list, too. 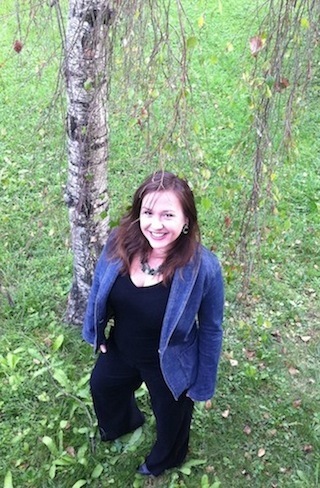 Vanna Smythe is on a quest to become a (bestselling) fantasy author. Right now, it promises to be a dangerous quest, full of questionable, powerful magnates, laced with pitfalls of obligation, and dreams. So it is good that she does not mean to quest thus alone. To keep her company along the way, she has enlisted the help of an incredible cast of characters. For the moment, they are a confident boy who must learn many things anew, a girl who would like nothing more than to live in endless summer, four who wish things were different, and one who will do all to keep things the same. Q: Please tell us about yourself in fifty words or less. I’m an aspiring fantasy writer by night, and a journalist and copywriter by night. Q: What can readers expect from Decision Maker (Anniversary of the Veil, Book 2)? Q: What is the most nerve wracking part of a new release for you? The eBook formatting followed closely by the marketing. But the formatting really drives me crazy. Q: What's been the single most empowering piece of advice you've gotten when it comes to writing? Don’t strive for absolute perfection, but always do your best. 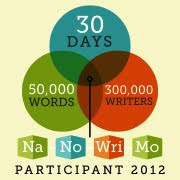 Q: What's been your most challenging writing moment to date? The final revision is always the most trying for me. Getting the story written comes quite easily for me, but polishing it up is harder. Q: What's the worst thing you've ever written? The best? That’s a tough one. I guess the first draft of Protector was the worst. While I consider the final version of Decision Maker my best work. Q: What's been the most difficult part of writing the Anniversary of the Veil series? Learning how to revise effectively. Revision doesn’t come naturally for me and I’ve worked very hard to learn to. Q: What draws you to fantasy as a reader? As a writer? Both reasons are the same, I love immersing myself in new, strange and exciting fantasy worlds. I love history, but also magic, and I think fantasy offers the best of both. Q: What does a perfect day entail for you? That depends. When I’m writing it’s all about getting a scene perfectly down on paper. When I’m relaxing, I like to take long walks, read a good book or watch a good movie. Q: In high school you were most likely to …. Q: You're stuck on an island... what 3 books would you kill to have with you? Something by Agatha Christy, Huckleberry Finn, and Harry Potter. Q: Do you share any traits or characteristics with Issa? Sure, though perhaps not as many as some of my other characters. Issa is a dreamer, just like me, but she also knows what she wants and is not afraid to go out and grab it. Thanks so much for stopping by to visit with us today, Vanna. I'm looking forward to catching up on the series. And I know the rest of you are looking forward to it, too. You can grab a copy of Decision Maker at: Amazon US | UK | Smashwords. You can also purchase Protector (Book 1) at: Amazon US | UK | B&N | Book Depository. It's time for The Peasants Revolt Flashback Blog Hop, hosted by the amazing Fel Witzig. Fel had a blog birthday last week, and she's recruited us to help her celebrate by traveling back to January 2012 and sharing what we were up to then. Last January, I was neck deep in research for my graduate school exit exams. Between scouring legal databases and stressing over whether or not I would finish on time, I began playing around with a story titled Heart Song, about a young woman who finds love and the desire to live again while caring for a little boy dying of cancer. Not long after beginning Heart Song, an extraordinary little boy came into my life. His smile was absolutely beautiful, and he was so soft spoken and polite. He was such a sweet little boy. He was only nine, and he was dying of cancer when I met him. He and his family lived at the House where I worked for the last couple months of his life so he could be near the hospital without having to spend his last weeks of life away from his family. He passed away late last spring. Last Wednesday was my last official day at work, so I've been thinking a lot about all of the incredibly special children I've met during my time there, and this little boy, who we will call John, was at the top of the list of those who've touched my life. I thought it fitting to share part of the story I was writing when I met him with all of you now in honor of The Peasants Revolt's Flashback Blog Hop and all of the special children I was blessed to meet last year. Many of them are gone now, but they definitely have not been forgotten. If you're a crier, you might need tissues. Laughter broke the silence as I made my way down the long hall. My shoulders were hunched, and I had my hands buried into the pockets of my jeans. I tried to ignore the butterflies swimming in my stomach, focusing instead of the petite blonde walking a few feet ahead of me. Part of me wanted to tap the woman on the shoulder and ask. The other part wanted to be her . . . able to walk down this hall and laugh like I didn't know what was going on behind the doors lining the hall. I did know though. How could I not? The white tile beneath my feet screamed of one too many coats of wax. The bright mural painted on the walls had faded over the years until the once happy scenes now seemed sad and full of sorrow. The entire area smelled of rubbing alcohol and industrial strength cleaner. Each served as a reminder that there was nothing funny happening here. So did the massive "Pediatric Oncology" sign plastered over the double doors at the end of the ward. The woman turned at an intersecting hallway, leaving me to troop forward on my own. I waved at the familiar man behind the nurse's desk. "Hey, Todd," I said, speaking softly when I noticed the phone clutched between his ear and shoulder. I stopped walking and turned to face him as he hissed my name. He held up a finger, indicating I should wait a minute. I nodded and stepped nearer the desk, glancing around as I waited. The ward was quieter than normal. No doctors hurrying up and down the halls. No nurses scurrying with that overworked look of exhaustion on their faces. No patients peeking around their doors. I didn't know if the quiet was a good thing though. I wasn't sure I wanted to know. Todd blew out a breath and gave me a sad smile. "The same," he said. I sighed heavily and nodded. I hadn’t really expected him to answer any differently, but I'd hoped he would anyway. Lee Masters was only eight. Far too young to be losing to cancer. “Yeah . . . sure.” I started down the hall again, my mind spinning through worries about why Dr. Morris might want to speak with me. Was Lee worse? Or was I being busted for visited him after my shift every day? As I neared Lee's room, I hoped it was the latter. I could deal with a pink slip for breaking the rules. I couldn't deal with Lee getting sicker. In the month I'd been visiting him, the toll cancer was taking on him had become increasingly evident. He'd lost weight. The innocent light in his eyes was dimmer. Each day, he looked a little worse. I scrubbed quickly at the sink outside his door, donning the required suit and sanitizing the few items I was allowed to carry in with me. That list was short, but it’d grown in recent days, the rules becoming more lax where things like stuffed animals were concerned. Everyone that visited him knew that wasn’t a good thing. I took a deep breath and shoved all of my worries down before I pushed open his door. "Hi, Lee." I smiled behind my mask as I stepped into the depressingly cheerful room and caught sight of him in the standard hospital bed. My heart did that half hurt, half happy thing I still wasn't accustomed to feeling. I didn't think I would ever be accustomed to it, but every time I stepped through the door and saw the wan little boy hooked up to monitors and IV lines, I felt the same dichotic, heartrending tug in my chest. Lee raised his head from the pillow and scrutinized my expression for a minute, his brown eyes as wide and serious as ever in his pale, jaundiced face. 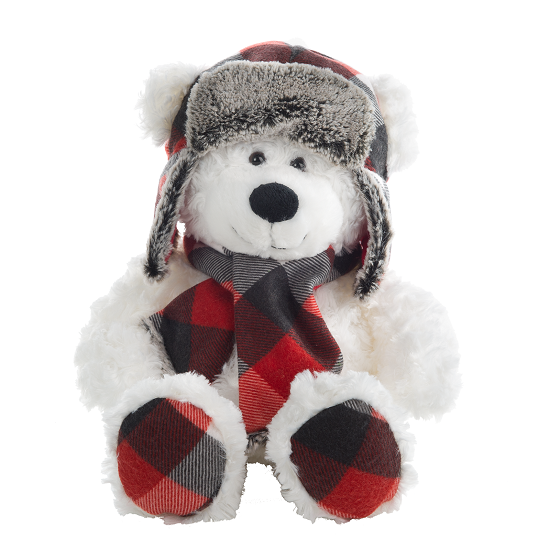 "Chloe," his little voice greeted me just as seriously as those eyes gazed at me. He looked, and sounded, so tired. That seemed to be the case a little more every day, too. The purple shadows beneath his eyes were getting darker every day; his skin was taking on an increasingly yellowish tinge. And the oxygen tank behind him bubbled a little faster every day too. I stifled a sigh at these telltale signs of his condition and pulled the door closed behind me, promising myself I could cry later. "I brought you something," I said, taking my customary seat beside the bed. My tone sounded off even to my own ears. Lee noticed. He tilted his head to one side as he eyed me. "You always bring me things," he reminded me as I settled in, placing the small yellow bag on the floor beside my slippered feet. I hated the yellow paper slippers I had to wear into his room almost as much as the yellow paper gown and mask. They screamed the truth at me, and I didn't want to hear it. Lee was dying. His lungs and liver were failing him and modern medicine had given up trying to save him. Days, weeks . . . eventually, and all too soon, one or the other would fail him altogether and the intelligent little boy I’d come to adore in the last weeks would be gone. "True," I agreed with a nod, trying hard to keep the sadness from reaching him this time. It wasn't good for him to get that from me too. This was play time. He got plenty of serious from every other adult in his life, and he had enough sadness and sorrow without me adding mine to the burden already on his frail shoulders. "I think you'll like this one." "You always say that too," he pointed out, shifting in his bed to face me. "And I'm always right." I managed to grin this time, reaching out and pulling his IV pole closer so the line didn't tug. He did the same for the oxygen line, flipping it over his shoulder so the line would slacken and keep the cannulas from digging into his skin. "You could be wrong this time though." "Hmm." I pretended to consider that, tapping my forefinger on my chin before shaking my head and smiling again. "I'm never wrong. It's statistically impossible." "My father said there's a first time for everything," he warned. "Yes." He nodded again, eyes wide and solemn. "He said that the first time my mother was wrong." "Lee!" I threw my head back as genuine laughter burbled up and out at his response. "You're impossible! Funny, but impossible." He didn't laugh with me, but I hadn't really expected him to either. He never laughed and rarely smiled. In fact, he'd only smiled twice in the last week. Two smiles. The reminder broke my heart. My laughter died in my throat. Lee was such a selfless kid. He loved to make me laugh, but laughing when I knew he wouldn't join in was so hard. He knew what was happening to him, maybe better than I did. He never talked about it, never showed fear. He was just . . . serious. Gravely quiet and earnest. Was it any wonder my heart did that dance between breaking when I saw him deteriorating and lightening when I saw that he was still with us? I’d never really liked kids and wasn’t even sure how I’d managed to find myself volunteering at the hospital or sitting at his bedside every afternoon, but I liked Lee. Sitting with him had been good for me in some strange, alternative universe kind of way. I was watching him die, and it was awful and so impossibly unfair, but I wasn’t the same angry person I’d been when I walked through his door a month ago. “Want to see your present?” I asked softly after a minute. “It’s a good one?” he asked, tugging his bright blue comforter around him. “The best one,” I promised, smiling at him again even though he couldn’t see my mouth behind the mask. He pretended to think about it for a minute and then nodded. “I’d like to see it then,” he said. I reached into the bag and put my hand around the journal I’d gotten him. Lee loved to read, write and draw. “Close your eyes,” I said. His serious brown eyes popped open and landed on the journal. He traced the loops and swirls of his initials embossed on the front with one finger, his expression completely blank. He finally glanced up from the journal. "Thank you, Chloe." I smiled at his quiet gratitude. Everything about him was so quiet. So wise. Had he always been the same far-too-old little boy? My smile slipped, tears threatening again at the realization that disease had probably stripped him of his immaturity. I reached into my bag again and retrieved an ink pen before handing it over to him. "Would you like to start your first story in it?" 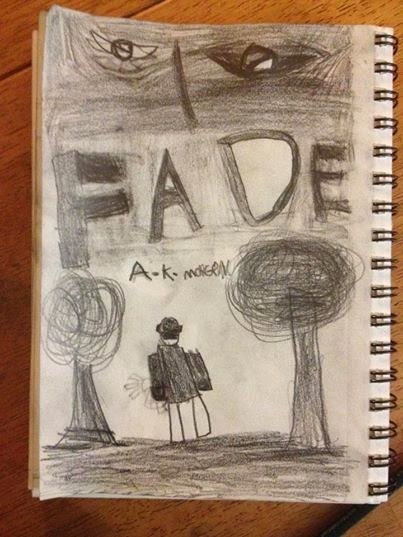 He eyed the pencil for a minute and then shook his head slowly. "I already know it." "Do you?" I sat the pencil on the table tray beside the bed and leaned back in my chair. "Share it with me?" "You won’t like it," he warned. Lee looked at me again and then set the journal on the tray table beside the pen. "Once upon a time there was a princess," he started, lying back against his pillows and staring up at the ceiling, his expression inscrutable. "Her name was Samantha. She had pretty hair and laughed a lot." I waited for him to continue, but a full minute later, he still hadn't spoken again. "What happened next?" I prompted him. He didn't say anything as he continued to stare up at the ceiling with that same blank expression. "She grew up," he whispered then and blinked his eyes rapidly. His timid tone and the message behind those words ripped my heart to pieces. Tears burned at my eyes. "Chloe?" he said while I swiped at face, not wanting him to see me cry. For some reason, it was important to me that he not see me cry. I reached for his hand and squeezed gently. "Yeah, Lee?" I whispered, my voice rough. "I’m not going to grow up." I stopped writing Heart Song after John passed away. I think I will always remember him when I think of this story, and it will always be a little closer than I expected when I began writing it.. Maybe someday I'll be able to pick it up again, but for now I still haven't found the heart to do so. I wanted to share it with all of you, however, in honor of all the children like John who have touched my life in the last year. The lessons I learned from them and their families will stay with me for a very long time. 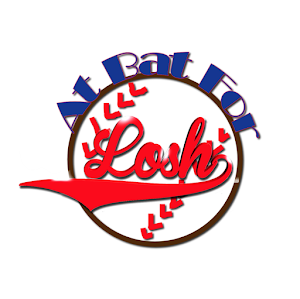 Please hop on over to the other Flashback participants (linked below) and check out what they have in store for you this week, too! 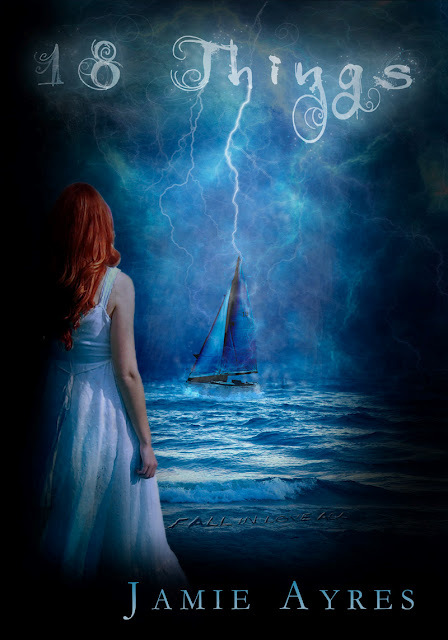 Today, I have the great pleasure of helping reveal the cover for The Charge by Sharon Bayliss! Sharon is phenomenal, and I'm so excited for her. What if Texas never joined the United States, and instead became it's own nation? In The Charge, that's exactly what happened. In the 1830s, the Republic of Texas was taken over by a dictator with superhuman powers who named himself the first King of Texas. Eighty years later, the Texas Empire has fallen into ruin, but the story of the Texas royal dynasty is far from over. College freshman Warren King wants nothing more than to enjoy a beer by the pool on his summer break...but that's not what fate has in store for him. When Texas soldiers kidnap his little brother, he embarks into a still-wild West to save him. While fumbling through a search attempt in the lawless Texas Empire, he makes a discovery that changes his life forever. He and his brother are estranged members of the Texas royal family and the King wants them both dead. Now Warren must save his brother and choose whether or not to be King, follow a King, or die before he can retire his fake ID. A solid cast of well-developed characters, including a “super-tall” royal Texan family, stars in this thrill ride of a novel teetering between sci-fi adventure and alternate historical epic...Easily shifting between characters’ perspectives, and relentless in its action, well-placed humor, and suspense, this manuscript is a delight. 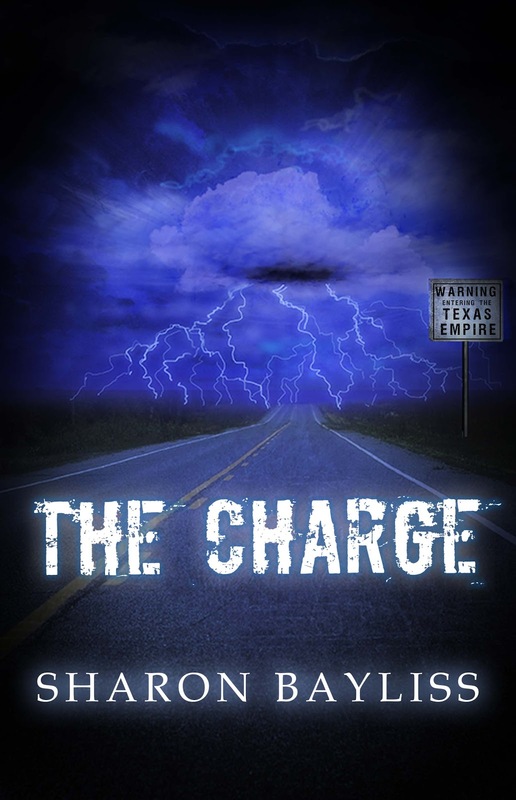 The Charge will be available in digital and print formats from Curiosity Quills Press on Texas Independence Day, 2 March 2013. You can follow Sharon and The Charge at: www.facebook.com/thechargebook and on Twitter @SharonBayliss. You can also find an excerpt of The Charge at: http://sharonbayliss.blogspot.com/p/charge.html.